Rosalind Elsie Franklin (1920-1958) was a British chemist and X-ray crystallographer whose work was essential to the understanding of the molecular structures of DNA, RNA, viruses, coal and graphite. 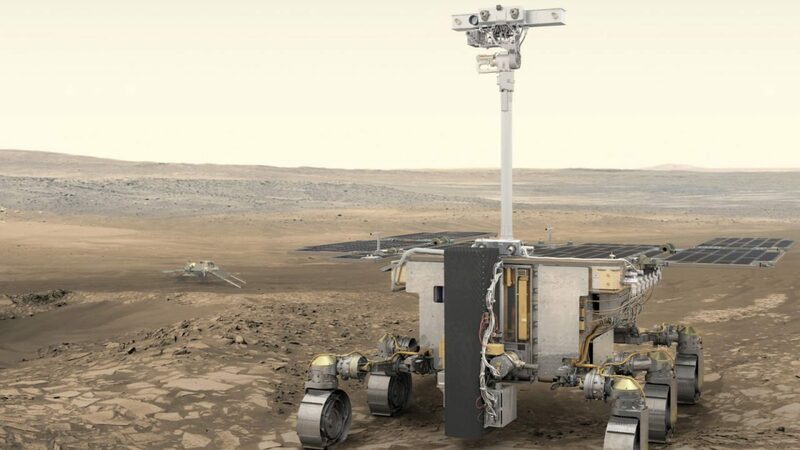 The selection of her name for the ExoMars rover follows a long tradition of naming ESA mission after scientists, including Euclid, Newton and Planck, the space agency said. The ExoMars rover is expected to carry a drill capable of boring 2 meters (about 6.56 feet) into the Martian surface. The rover is designed to then analyze soil samples using the four instruments of its on-board laboratory. Samples collected from beneath the surface are more likely to contain signs of past life, because the Martian atmosphere provides little protection from sunlight and harsh radiation at the surface. The rover is expected to relay data to the ExoMars Trace Gas Orbiter spacecraft, which has been performing its science operations since March 2018, searching for small amounts of gases in the planet’s atmosphere that could provide clues about past or present biological activity on Mars. A proposed landing site for the ExoMars rover was chosen in November 2018. Oxia Planum, a once water-rich area near the Martian equator that may have once supported microbial life, was chose by a group of experts from the Mars science community, industry and the ExoMars project. The proposal is currently undergoing internal review by ESA and Roscosmos with an official confirmation expected in mid-2019.